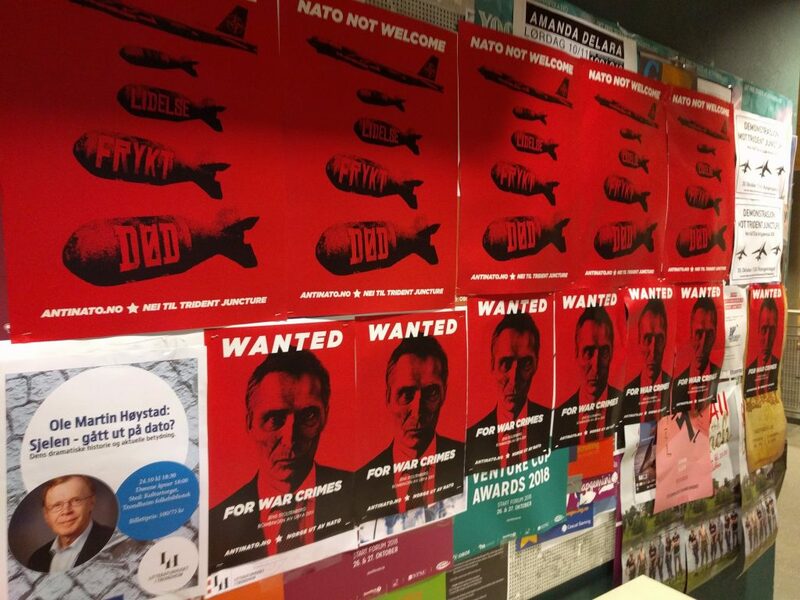 NATO and the war exercise Trident Juncture is NOT WELCOME in Norway. NATO is a military alliance of the worlds largest imperialist states. The old colonial powers of Britain, France, Spain, Germany and Italy has joined forces with Yankee-imperialism. The US is the worlds largest imperialist. It is the only superpower of today. It has been involved in more than 100 wars the last 100 years. The US have killed millions of muslims in Afghanistan, Iraq, Syria etc. The US is the major power and leader of the western NATO block. The war exercise is part of the western military dominance of more than half the globe. The armies that train in Norway today, has bases and activity on all continents. They protect western political and economical interests in Africa, Asia and Latin-America. The Norwegian state is smaller than the US and Britain, but in essence it is the same. From the bombing of Yugoslavia in 1999 to the bombing of Libya in 2011, and in the occupation of Afghanistan from 2001 till this day, the Norwegian war machine rains death over the poor masses of the world. The war crimes is horrific. It places the Norwegian state amongst the worst terrorists of the world. NATO is a terror alliance. We oppose the exercise on this basis. The only just thing the troops can do, is to desert this war machine. No just human being could be part of the unjust wars of NATO.